We love game day recipes because the food is so fun and tasty. Snacks and desserts are fun to make when you are eating with a crowd. I love it! I have several great post with game day recipes for you to check out. Below are some of our favorites that we will be making! 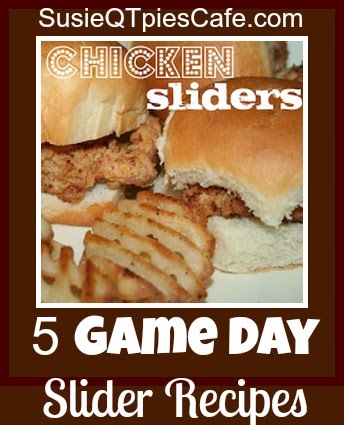 I've included our 5 favorite slider recipes which are perfect for game day. Menu planning helps save me time and money every week. Do you menu plan? What is on your menu plan? 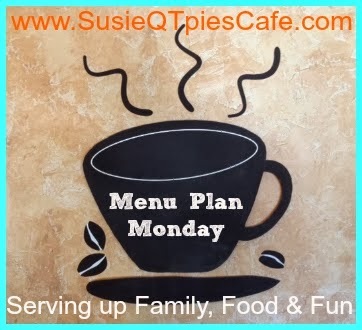 I link up my menu at OrgJunkie's Menu Plan Monday. Follow my blog with my newsletter to get more tasty recipes. Yum! I love sliders. Loving the recipe for the healthy hummus dip. I don't menu plan but I need to start because every time 6pm comes along, I am scrambling on what to make for dinner. Those chicken sliders sound really good. So far for game day I am planning on making some gluten free pizza poppers (pizza bites) having some chips and dip and who knows what else! those chicken sliders sound really good! I am adding them to try this week! I love sliders! Thankd for some new ideas to try! These are great recipes and such a great way to shake up my same old same old weekly menu. I am a huge fan of sliders. Mini burgers and chicken sandwiches are great for entertaining and little hand meals. TY for the round up. Oh yummy! I love trying new recipes and well the chocolate is calling my name. . . .forget the sliders bring on the chocolate! Thank you for giving us the opportunity to join in your Educator! I'd think a week of sliders would be a bit much for me, but it would be good to mix it in.